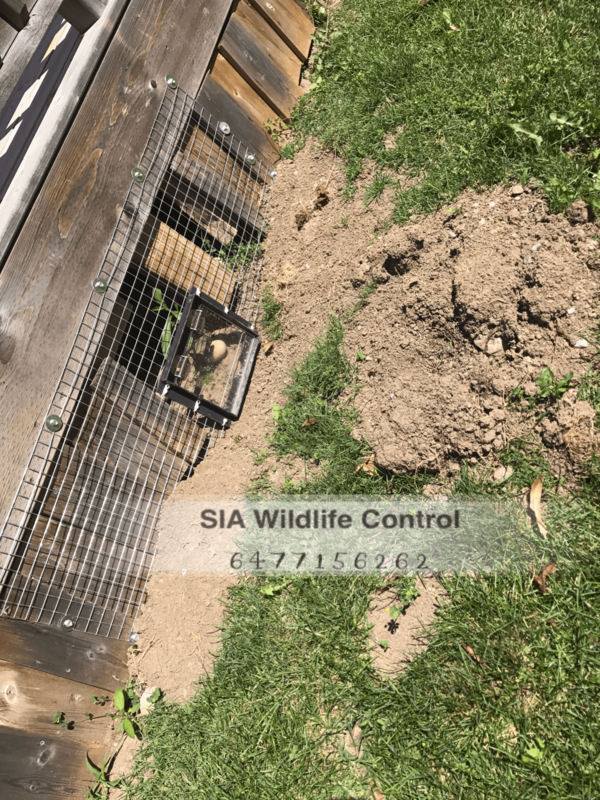 Opossum Removal - SIA Wildlife Control Inc.
Opossum removal can be done humanely with the use of a one-way door. Toronto has a fair population of opossums which are occasionally mistaken for raccoons in the attic. When removing opossums, there is a lower risk to the technician in comparison to other wildlife. A wildlife control technician may attempt to physically remove an opossum from an attic if possible. However we feel that the best way for opossum removal is a way with the least amount of human interference and contact. When there is an attic occupation of opossums there is only 2 ways it could have happened, a natural gap or an abandoned raccoon den. Possums can climb, but they do not create entry points into attics so their presence in the attic is opportunistic. Trapping services can be offered by wildlife technicians for opossums that are not occupying a confined space such as an attic. When removing wildlife using one-way doors, there is always a risk that the animal may return to attempt to get back in. For the prevention of animal reentry our technicians will inspect and provide optional prevention packages designed specifically for your home. First thing to consider about an opossum is that they are nocturnal. This means that the animal sleeps during the day, and is active overnight. Opossums like to take shelter in areas where other species have done the hard work. In our experience we found that opossums will take up residence in abandoned raccoon attics. An opossum does not force its way into your attic like a raccoon does. They require a fairly large hole or gap to exist before being able to take residence on your property. Opossums in the attic can cause displaced insulation, feces and chewed wiring as a result of their occupation. Following these steps not only helps with opossums, but it also helps keep other wildlife away like raccoons. First it’s important to know that opossums are scavengers and will eat almost any organic matter, animal or vegetation. An opossum’s sense of smell should not be ignored, cleaning is essential not to attract them to your property. Clean up fallen fruits, bird seed etc. Remove outdoor leftover pet food before dark. Make sure your garbage bins are sealed tight, or placed in a sturdy animal proof container. Clean areas with food, such as barbecue grills as they produce odor. Remove stacked firewood, plywood, or any material where shelter may be provided for wildlife. Especially such that it does not lean against fencing and provide shelter in between.